Incorporated on 6 October 1982 in Malaysia under the Company Act, 1965 as a private limited company under the name of Katrin BJ Sdn Bhd. The Company is principally engaged in the importation and distribution of branded kitchenware and housewares to retail, institution and corporate market in Malaysia and Singapore on an exclusive basis. During the Asian financial crisis of year 1997, the company decided to go against the tide and started the first household specialty shop, House of Presentation to house the global brands of kitchenware. With over 30 years of experience in meeting the demands of our customers and the goodwill that it has accumulated over the year, Katrin BJ has achieved a reputation as a consistent supplier of new and innovative product to the kitchen and home. Today, Katrin BJ owns 27 specialty shops nationwide, and have become recognized as one of the key housewares supplier to the retail industry in Malaysia. Our comprehensive product range includes more than 1000 kitchenware and home-ware items. We continue to entice the market with quality and stylish kitchen & home wares from an extensive range of well-known quality brands to ensure our customers receive value for their money! We would like to touch on the underlying reasons that influence our company’s direction. Malaysia is a very young nation with a very young population and a growing middle class with better purchasing power. However, most do not have “any idea” about what cookware to buy. 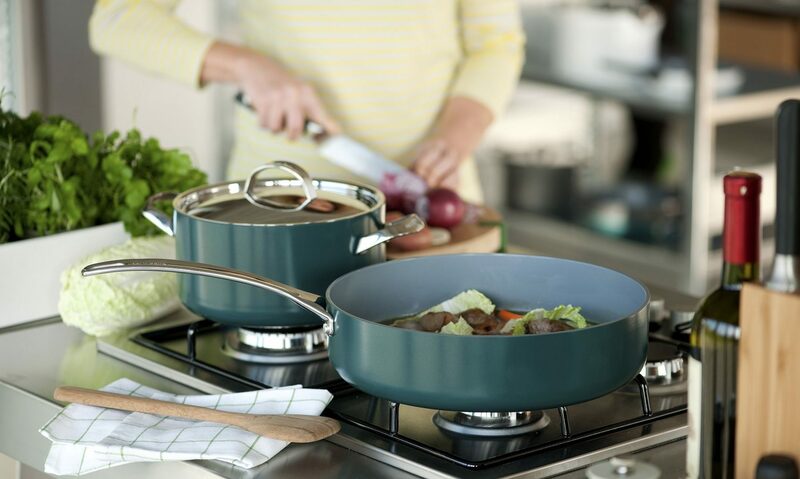 Yet in every aspect of our daily life, cooking is a basic necessity and cookware is just as essential. As a marketer of cookware, Katrin BJ believe that it is our duty to recommend and educate our consumers the right types of cookware to suit their lifestyle and different needs. This is crucial as consumers today are confused by all the choices that are presented to them. We have through the 30 years in this business realized that in order to meet the differing needs of consumers, we have to provide a wide range of cookware ranging from non-stick, hard anodized to stainless steel etc. The brands that we brought into Malaysia are internationally the best and we always represent the brands exclusively. The OEM brands that we own are well marketed and are sourced from the top manufactures that are used by the top international brands. Through the years, we have not wavered from our direction and are very focused to ensure a wider range of cookware and household items to be provided at different price level for all our customers. Be the leading household distributor in Malaysia providing a complete range of quality house wares and quality lifestyle as well as living standard of the consumers at affordable prices. To facilitate the achievement of our mission we have identified the following factors for our strategic focus. To provide ongoing training for the stores buyers and operation retail staff to equip them with knowledge of the products and to improve their customer service skill. I understand that you’re the distributor of La Gourmet products in Malaysia. I bought a vacuum flask today from Aeon. I followed the cleaning instructions from the flyer in the flask by rinsing it with warm water (not boiling hot water). On the second rinse, it suddenly exploded and glass shards flew out. I have been using vacuum flasks for more than 30 years and this has never happened before. I don’t know if the flask I purchased is defective. Can you please let me know if I can get a replacement for it? Please email to us at [email protected] for warranty/ replacement. Thank you. Hi, My La Gourmet Thermal Pot cover cannot close. Can it be repaired? Please email to [email protected] . Thank you.